It's a special "trade everyone you can!" 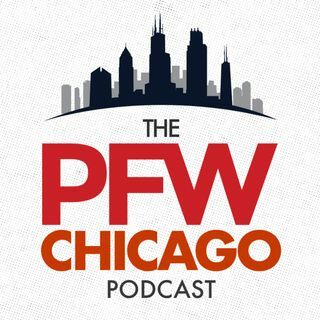 episode of our ChicagoFootball.com Bears podcast. Luckily, Ryan Pace can't trade our hosts, Kevin Fishbain and Arthur Arkush. They (as briefly as possible) recap the shutout loss in Seattle then turn the page to Oakland to preview a pretty good Raiders team. Jarvis Jenkins is our player interview this week [26:56]. What was his best move on the basketball court? What's his go-to for barbecue food in Chicago? Hub Arkush joins the ... See More show to close things out as the guys discuss the Jared Allen and Jon Bostic trades, then make their picks for Bears-Raiders.